If your business currently relies on legacy storage, you may be struggling with siloed structures, multiple vendors and diverse storage devices. That can create bottlenecks, slow application performance, under-utilized capacity and poor access for users, as well as increasing the cost and complexity of management. Storage migration is essential in those circumstances because, with increasing volumes of data, the problems can only get worse. Careful planning of future storage environments is critical — to improve service to users and ensure that data is available to support the efficient, reliable operation of critical business processes. Cost control is also vital with around one third of IT budgets spent on storage, according to a study by Hewlett-Packard. Storage migration can help your business deal with capacity or performance issues, as well as reducing costs. However, if you’re planning storage migration, make sure you’re fully prepared for the impact on your users and your business. 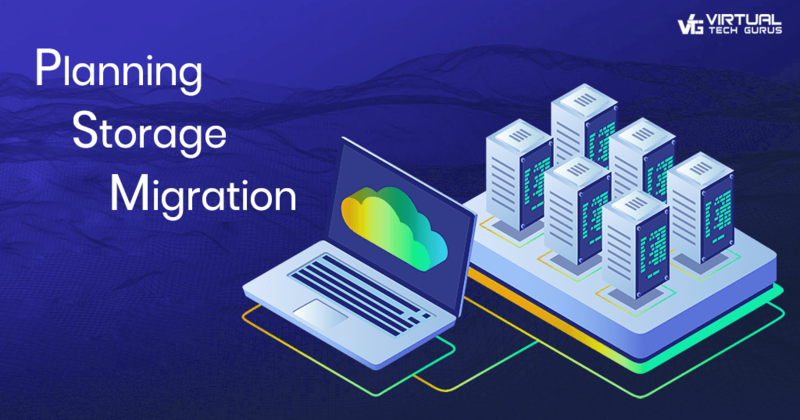 Migrating storage to the cloud can offer significant benefits in terms of cost, scalability and access, but it’s essential to set a clear storage strategy and plan carefully to minimize disruption and maximize benefits. Your data storage strategy should reflect overall business strategy. For example, you may be planning to introduce new services or increase mobility. You may be deploying advanced analytics to underpin your business activities with greater insights. Data discovery and classification is a critical first step. Data can be classified as transactional, compliance, analytical and archival. Regulatory or compliance requirements may mean that some storage has to remain on premise, while migration of other data can be prioritized according to its criticality. During the discovery process, it’s also important to identify and eliminate redundant data that is either outdated or related to applications that are no longer required. By analyzing the number of users who utilize different types of data and identifying application dependencies, you can assess the criticality of data and coordinate the timing of migration to minimize user and business impact. However, discovering and assessing data by manual methods can be time-consuming and costly. Tools like VTG’s patented ZENfra™ can automate the process, speeding up assessment and reducing the risk of human error. Accurate discovery and classification can serve as a basis for policy-based or tier-based storage solutions. Here, automation software routes data to the most appropriate storage environment based on the business rules you set. When the team has classified data and selected the target environment, it’s important to ensure that migration plans incorporate all the elements essential for success. The storage should offer the right level of security with clearly defined access levels. It should be scalable to accommodate future growth and incorporate SLAs to maintain the right level of availability. Validation processes should be in place to ensure that the new production environment meets its targets and expectations and that data is correctly mapped to applications and services. Planning and implementing data storage migration is a complex, time-consuming process. Working with storage and migration specialists like VTG can reduce timescales and costs. If you would like to know more about our storage migration services, please check out the articles and infographics on our website.